Undoped zinc oxide (ZnO) was successfully deposited on silicon (100) for 3 hours via femtosecond pulsed laser deposition (fs-PLD). The deposition was carried out with oxygen background gas at room temperature. The deposited samples were annealed inside a tube furnace at 400°C and 500°C. X-ray diffraction analysis (XRD) was used to characterize the structural properties of deposited samples. The XRD spectra revealed (110) peak of ZnO on silicon (100). The FWHM of the (110) peak decreases with annealing temperature indicating that the structure of ZnO deposits were dependent on the annealing temperature. The deviation of diffraction angle of (110) peak with annealing temperature can be attributed to the induced thermal stress by the silicon substrate. J. de Mesa, J. J. Miranda, H. Salazar, R. Sarmago, and W. Garcia. 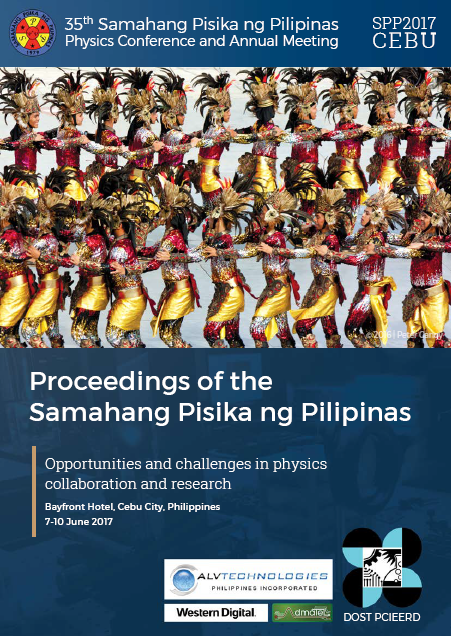 Effects of post-deposition annealing on the structural properties of femtosecond pulsed laser deposited ZnO on silicon substrates, Proceedings of the Samahang Pisika ng Pilipinas 35, SPP-2017-PA-19 (2017). URL: https://paperview.spp-online.org/proceedings/article/view/232.